Selenium (Se) is essential for humans and animals but is not considered to be essential for higher plants. Although researchers have found increases in vegetative growth due to fertiliser Se, there has been no definitive evidence to date of increased reproductive capacity, in terms of seed production and seed viability. 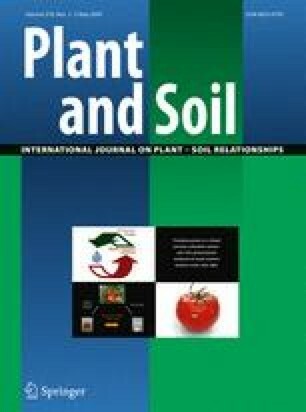 The aim of this study was to evaluate seed production and growth responses to a low dose of Se (as sodium selenite, added to solution culture) compared to very low-Se controls in fast-cycling Brassica rapa L. Although there was no change in total biomass, Se treatment was associated with a 43% increase in seed production. The Se-treated Brassica plants had higher total respiratory activity in leaves and flowers, which may have contributed to higher seed production. This study provides additional evidence for a beneficial role for Se in higher plants. The authors gratefully acknowledge funding from HarvestPlus (www.HarvestPlus.org), Washington DC, the Grains Research & Development Corporation (Australia) and the Molecular Plant Breeding Co-operative Research Centre, Australia. Analytical support from Waite Analytical Services, The University of Adelaide, South Australia is gratefully acknowledged.